Well, I’d hoped to post some nail art inbetween my two #ClaireStelle8Challenge prompts, but it wasn’t to be. 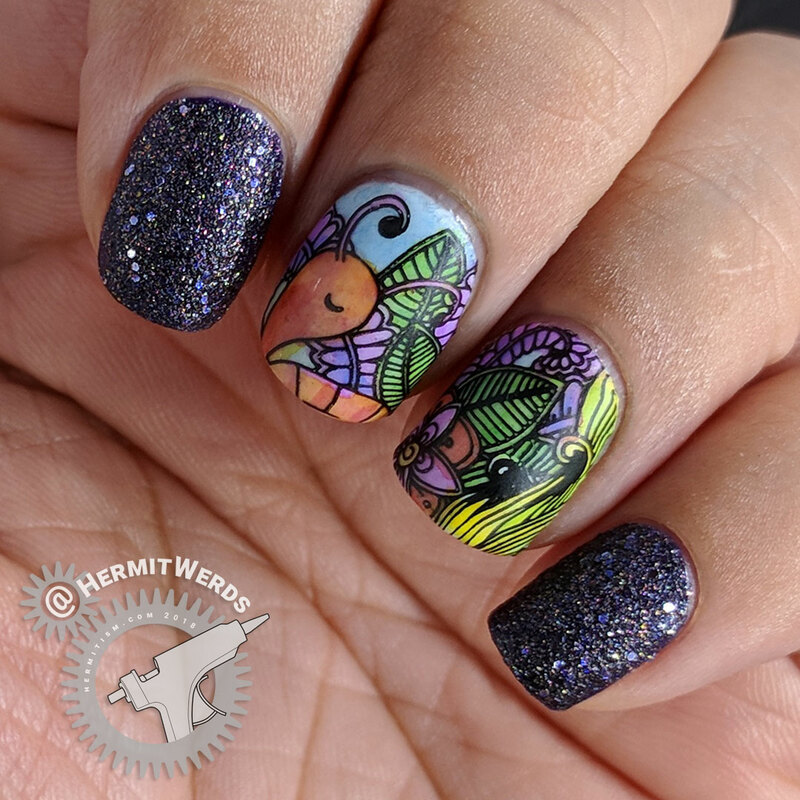 Instead, I’m back with my second #clairestelle8sept design: a spring mani in autumn colors (See: Ornate Owl for a fall mani in spring colors). And it’s a garden snail! Ah, I can’t help it! I love a fall color scheme much more than pastels, which my wardrobe could attest to if you could but see it. 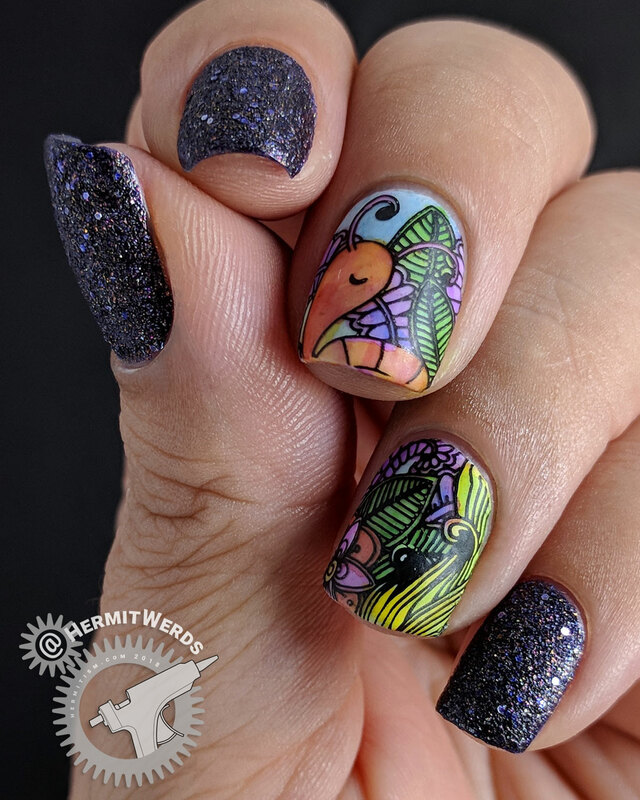 Like the owl design, the snail and its background did not fully stretch across both my nails so I added another stamp on top. Can you tell where one ends and the other begins? 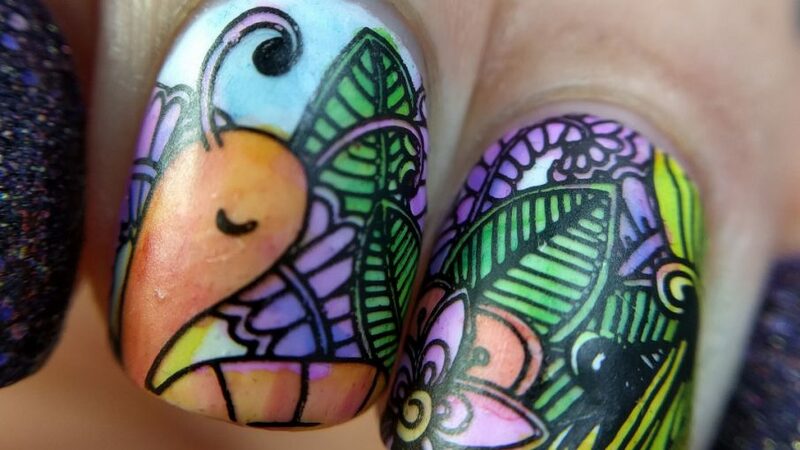 Also, why don’t I have more snail nail art on the blog yet? I have sooo many ideas. Seriously, there are three different designs in my to-do list and somehow this random snail came out before all of them. Cruel. 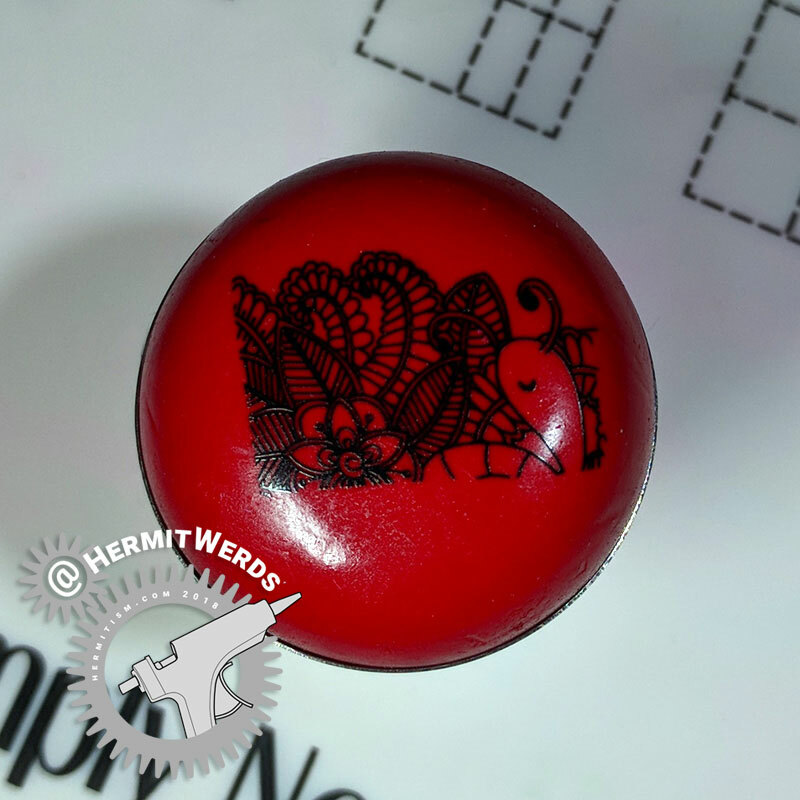 And one quick look at Beauty BigBang’s silicone stamper (press sample) with the snail on it. I guess that gives away where one stamp ended and the other began, huh? Oh, well. I wanted to include a photo of the stamper in use when I reviewed it, but I failed to remember to take a photo until it was too late. I do love snails in their many forms (it helps that I don’t really have a garden of my own). 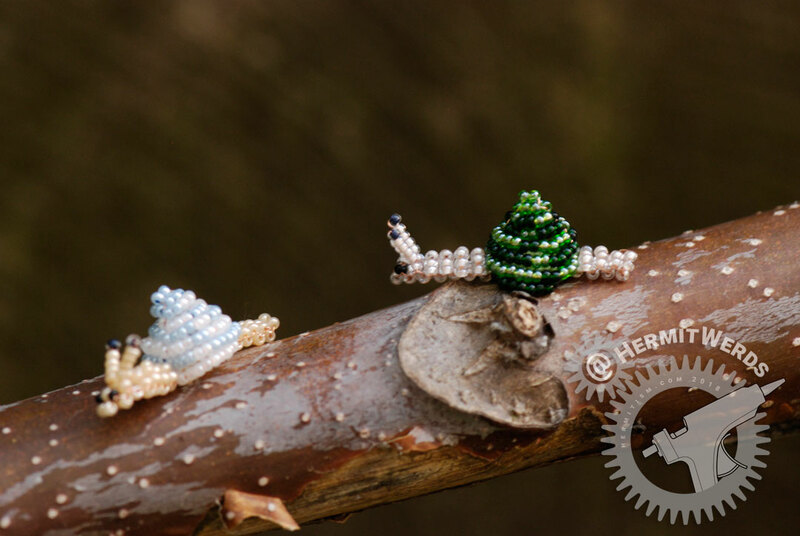 Once upon a time I even used Marilyne Kéréneur’s pattern to make a couple snails out of seed beads. Race to the finish, my darlings! Haha I took that photo years ago and even then it was the pale snail that I left out of focus. There is no change, only Zuul!